The Acres Home Chamber for Business and Economic Development, Inc. is a non-profit 501©(3) organization. Since its founding in 1994, the organization has become recognized as a cornerstone within the community providing leadership, as well as personal and professional development opportunities to small businesses, entrepreneurs, and the community. 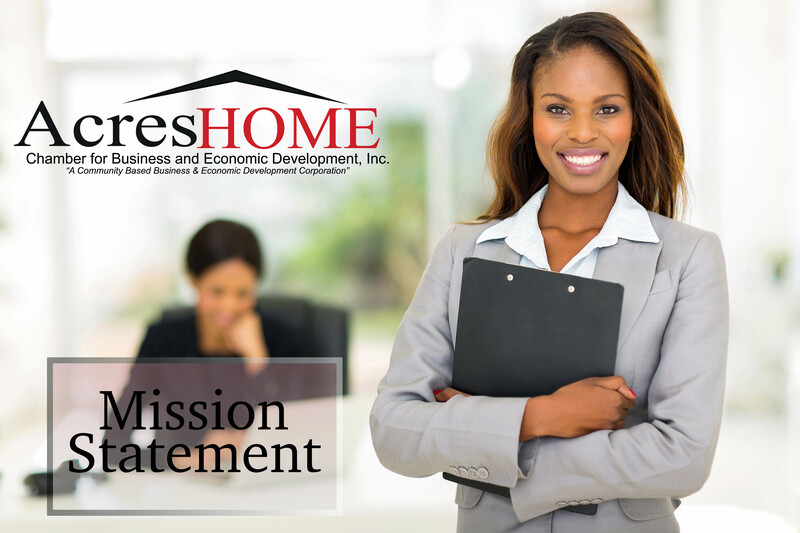 Our mission is accomplished by providing small businesses, entrepreneurs, and our community with programs, seminars, and workshops in business and professional development, leadership and teambuilding, educational and financial literacy, as well as the creation of collaborative outreach efforts with a specific emphasis on promoting economic growth opportunities and community partnerships.